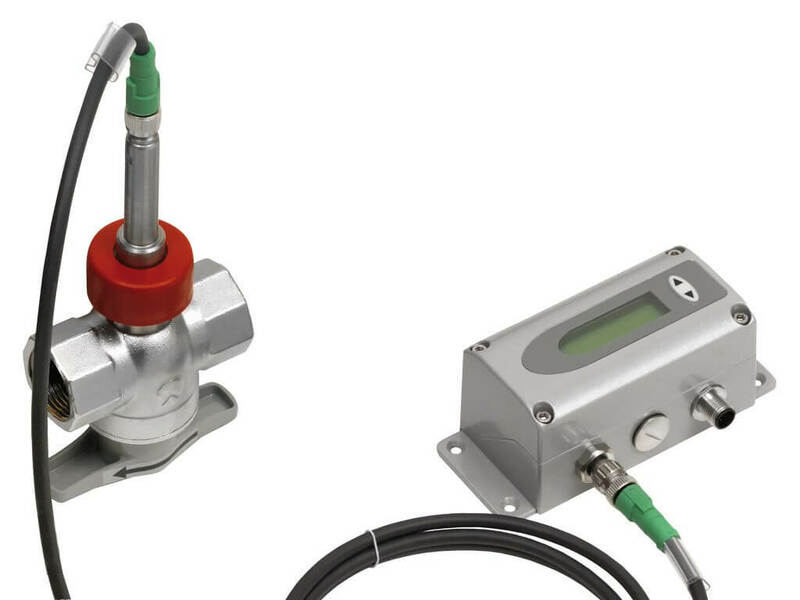 The flow meter can measure the consumption of compressed air, nitrogen, oxygen, CO2, helium, argon or other non-corrosive gases. The measurement ball valve permits easy installation and removal with only a short interruption of the flow. EE771 flow meter employs the well proven E+E hot-film sensor element with high immunity to contamination, which leads to outstanding long-term stability and accuracy even under harsh operating conditions. With wide measuring range from 0.5 to 200 Nm/s (100…39370 SFPM) (1:400) and fast response time, one and the same flow meter model can be employed throughout the entire gas supply system. It records accurately even the smallest flow which represent an essential prerequisite for calculating consumption costs or for finding leaks. 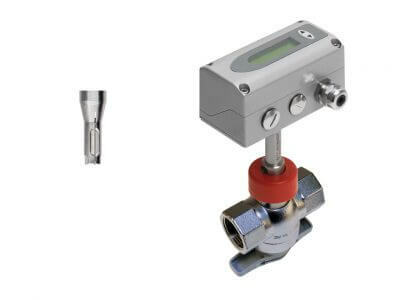 Every E+E flow meter undergoes a precise factory calibration procedure at a pressure of 7 bar (102 psi), the corresponding calibration certificate is included in the standard scope of supply. 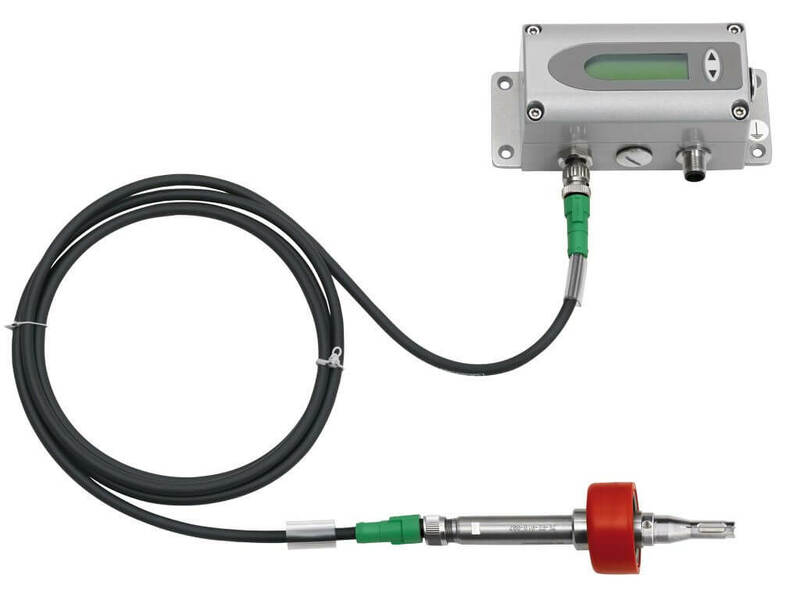 The EE771 flow meter is available with an additional MODBUS RTU or M-BUS (Meter-Bus) interface.